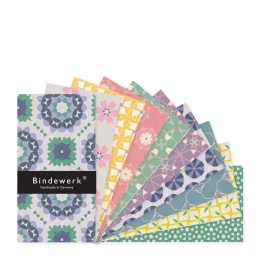 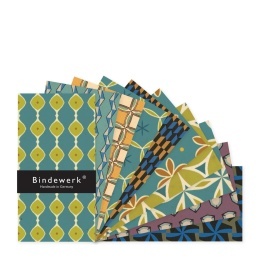 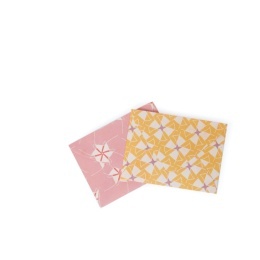 Beautiful mini envelopes made from SUZETTE patterned papers, containing a small cream card. 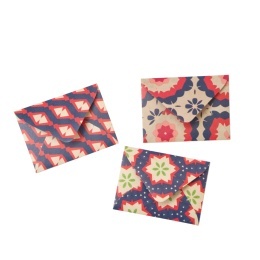 Beautiful mini envelopes made from MARLIES patterned papers, containing a small cream card. 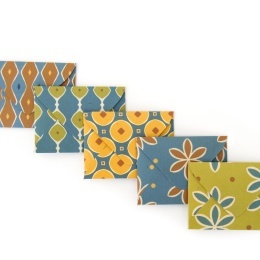 Beautiful mini envelopes made from JACKIE patterned papers, containing a small cream card. 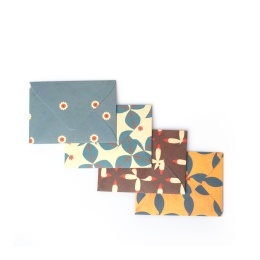 Beautiful mini envelopes made from ALMA patterned papers, containing a small cream card. 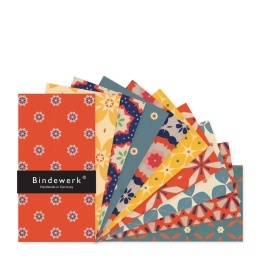 Colourful address labels with little illustrations.